I should probably be studying… or writing an article that’s due Wednesday. I swear I’l get to all that, but I had to interrupt all that to bake muffins! Colby and I bought this pumpkin pecan waffles candle at Bath and Body Works yesterday, and the decadent smell compelled me to make a pumpkin treat. 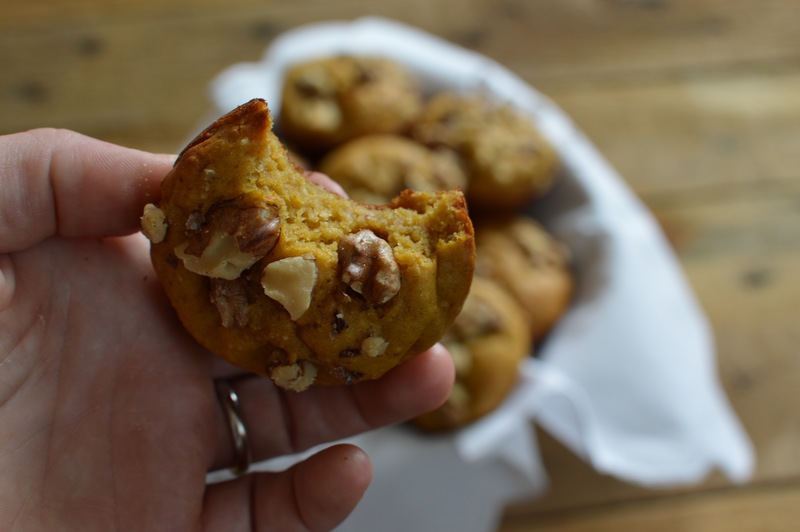 It was definitely worth taking a break to make these pumpkin protein muffins– they’ll be a great study snack anyway. 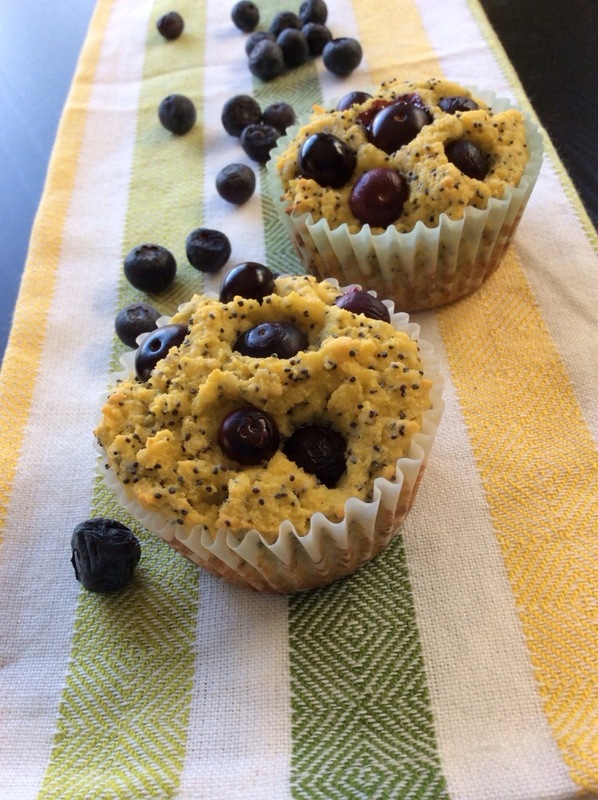 Each muffin has a balanced macronutrient ratio to power a study session or keep you focused at work or school between meals: 85 calories, 12 grams of carbohydrate, 2 grams of fat, and 5 grams of protein. 1. Preheat oven to 350 degrees. Whisk together all dry ingredients (starting with oat flour down to ground ginger) in a mixing bowl or large measuring cup. 2. In a separate mixing bowl, stir together all wet ingredients (pumpkin puree to vanilla extract). Fold in the dry ingredients and stir until well incorporated. 3. Grease two muffin pans (24 muffins) with cooking spray and use a 1/4 cup measurng scoop to fill each cup about 2/3 of the way full. 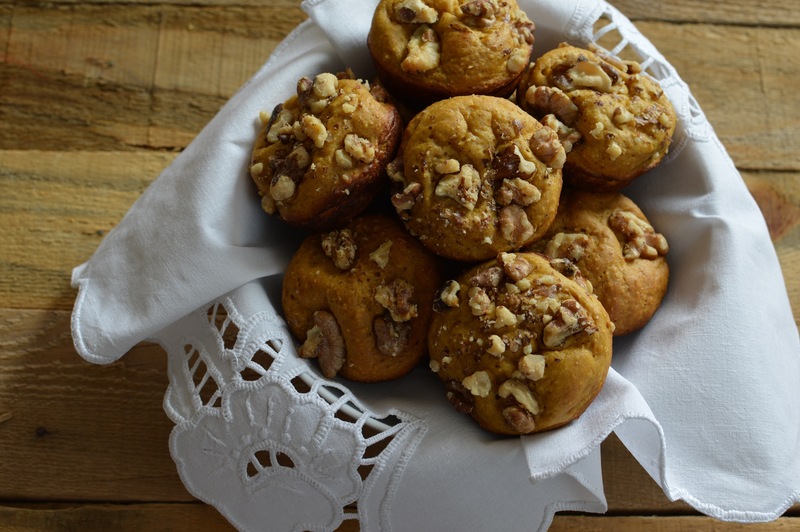 Sprinkle each with a few chopped walnuts and bake for 12-15 minutes, or until a toothpick inserted in the fluffiest muffin comes out clean. 4. Cool on a cooling rack and serve warm! These freeze well in zip top bags. They also keep well in a refrigerated airtight container for about 2 weeks. 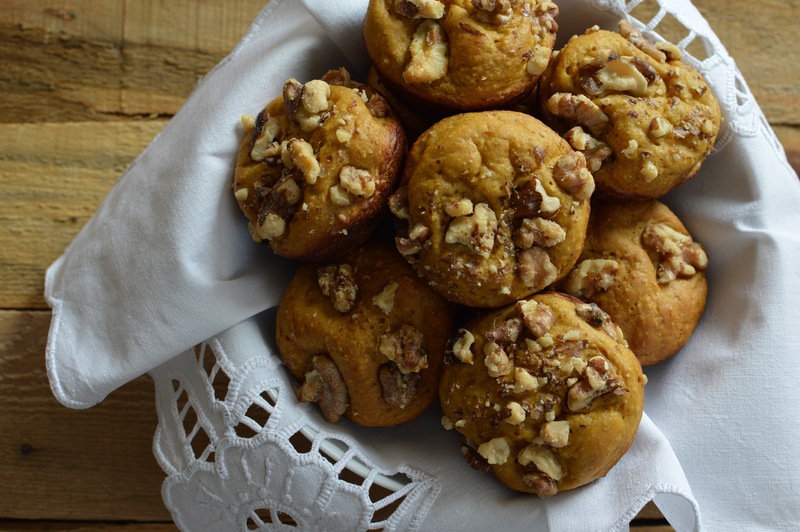 The pumpkin puree and greek yogurt make these muffins perfectly moist despite the omission of fat in the batter. That means you can slather these with some whipped butter knowing they aren’t aleady full of oil or fat! I hope you’ll enjoy them as much as I do. Have a great week, everyone! 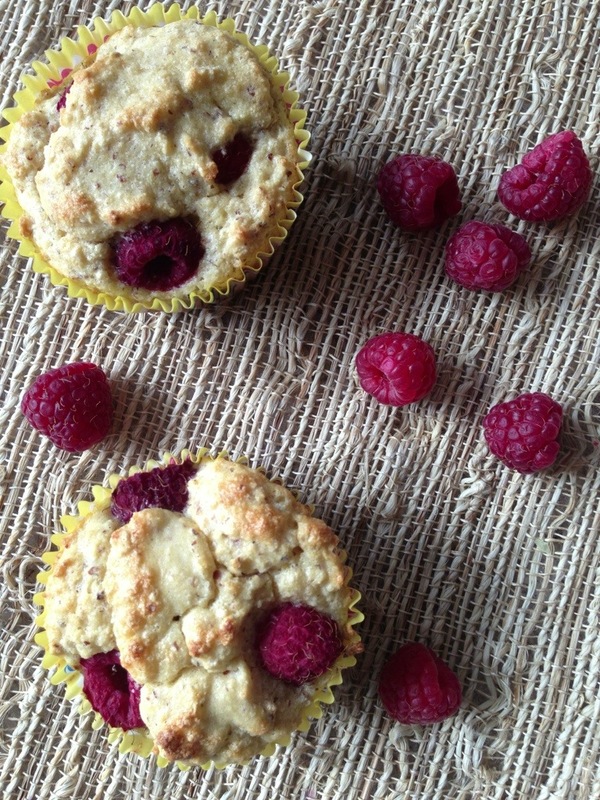 This is a healthier raspberry muffin recipe! It features gluten free flours, reduced butter content, and a combination of applesauce and stevia for the sweetener. 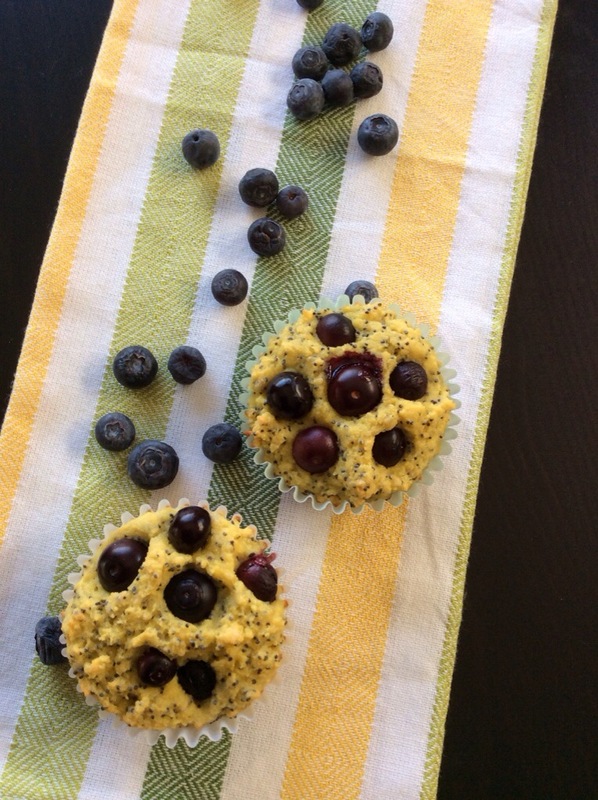 The trick to making these muffins light and fluffy is whipping the egg whites into a foam and folding them in gently at the end. 1. Preheat oven to 350. In one bowl, combine all dry ingredients. In a separate bowl, combine all wet ingredients except egg whites and raspberries. 2. Whip the egg whites into a stiff foam using a hand mixer or stand mixer. 3. Combine wet and dry ingredients. Fold in the egg whites gently. 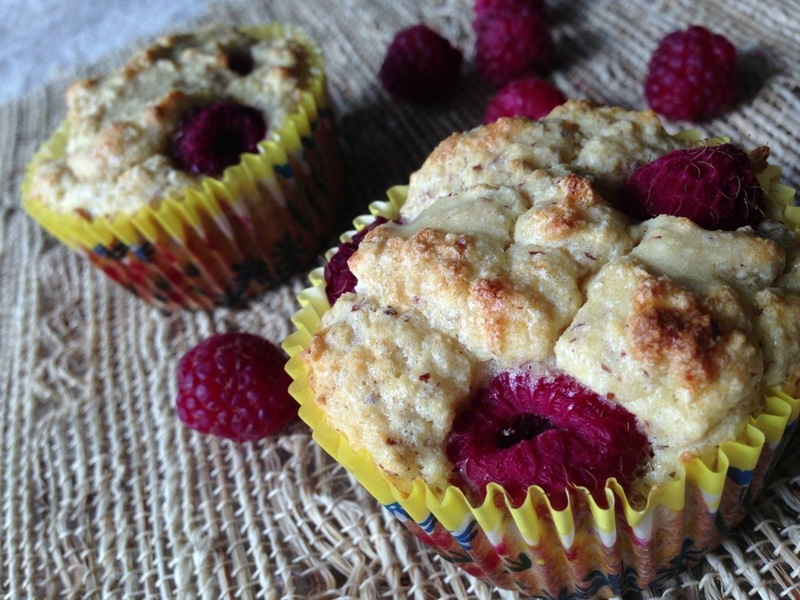 Fill a muffin tin lined with cupcake liners with the batter. This should fill 12 liners 3/4 full. 4. 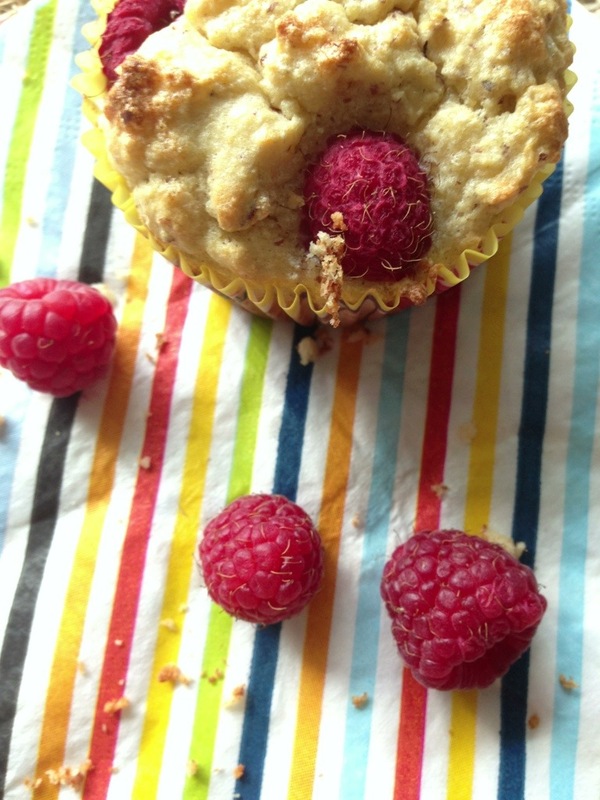 Press 3 raspberries into each muffin. Bake for 25-27 minutes or until a toothpick inserted into the center of a muffin comes out clean. I’m bringing these to bible study this morning! They’ve already passed my taste test. Moist, light, and just a little sweet!